The Trust’s director of external affairs Jane Tully takes a look at the Financial Guidance and Claims Bill as it starts its journey through parliament. After a rather lengthy process involving no less than three consultations, the government has finally settled on a plan for the future delivery of money, debt and pensions advice. 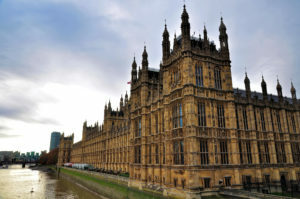 Earlier this month the Financial Guidance and Claims Bill finally entered parliament, starting in the House of Lords, a clear sign that the Government expect the bill to pass without too much controversy. The Bill provides the legislative framework for the technocratic sounding ‘single financial guidance body’ – a new Non-Departmental Public Body which, assuming the legislation is enacted, will be in place by mid-2018. This replaces the Money Advice Service, The Pension Advisory Service (TPAS) and PensionWise, and will centralise the government’s pensions, debt and money guidance offer for consumers. The main challenge for the new body will be to bring together the three elements in a cohesive way – while building confidence and credibility with stakeholders. Assuming all goes smoothly, Government can start the appointment process for the Board of the new body in late Autumn (possibly before the Bill’s passage is complete). What does the Bill propose in relation to debt advice? The debt advice function is to provide, to members of the public in England, information and advice on debt. ‘from time to time set standards to be complied with by persons providing information or advice in pursuance of the body’s debt advice function’. These standards will be approved by the FCA – I imagine, in the case of debt, to ensure consistency with its role in regulating ‘debt counselling’. Ultimately, services for debt will be provided through delivery partners – although there is some allowance for the provision of information by the body itself. While the new body’s role in setting standards could be read as only applying to those services it commissions, the strategic function sets out a broader remit (similar to that which the Money Advice Service currently adopt for financial capability). This should enable a more cohesive approach. All of this seems reasonable, and unsurprisingly perhaps, aligns with the direction Money Advice Service have been pursuing on debt including shaping a ‘debt strategy’ for the sector, leading a review of the sector’s funding (to be chaired by Peter Wyman) and just last week launching a consultation on their new ‘commissioning strategy’ (more on this another time). Having only recently appointed a new chief executive, Charles Counsell, with a background in pensions and organisational reform, we may well see some continuity in the transition to a new body. There are, however, a number of points to flag up in relation to the Bill. Dealing with the funding gap. Does this question ever go away!?  The Money Advice Service’s funding review is to be welcomed, and both the debt strategy and commissioning consultations offer a chance to explore efficiencies and be more targeted. Nonetheless there remains a need to ensure sufficient availability of free debt advice, at a time when a large number of households are not currently receiving the free advice they need – and services, such as National Debtline, are seeing an increasing demand. The combination of rising inflation, slow wage growth and a significant surge in household borrowing means that demand is likely to continue to increase and – even counting for efficiencies – further funding will need to come from somewhere. Currently, funding for advice comes mainly from a levy on financial services, or donation arrangements between banks and other creditors and advice agencies. Services funded by this Bill (the government’s public financial guidance offer) are covered solely by a levy on financial services. As debt advice services are increasingly dealing with debts and arrears relating to utility bills, and also from the public sector itself (council tax arrears are an issue raised by 25% of callers to National Debtline) there is a case to be made for the government to explore widening this funding base. With the funding review being carried out in parallel with the Bill, it may be helpful to have a clear mechanism within this Bill that enables any changes proposed by the review to be easily implemented if they require any legislation. Doing devolution sensibly. The second issue relates to the intention in the Bill to devolve responsibility and funding for debt advice to Scotland, Wales and Northern Ireland. While there is arguably a case to be made for this, it really isn’t clear how this might work in practice – particularly how it will dovetail with the new body’s functions in relation to financial capability and money guidance (which are UK-wide), and it’s strategic function in relation to debt. Furthermore, it isn’t clear whether debt funding (which arises from a levy on financial services) will be hypothecated (i.e. ring-fenced for debt advice) or part of the block grant. I am not convinced this has been fully thought through yet – although that isn’t to say that it can’t be made to work. It is clearly an area that will need careful handling. Accountability under the new arrangements. How the new body interacts with both the FCA and government will be critical. A lack of clarity in accountability was a constant question in existing arrangements. Under this Bill, FCA would continue to have levy raising powers, and regulate debt counselling, with the Department for Work and Pensions acting as the sponsoring department for the new body, with the power to issue guidance and directions to it as the Secretary of State sees fit. The Bill puts its arrangements more in line with other NDPBs. Where it may become disjointed, however, is within Government itself. The new body is set to be led by DWP (who have a direct relationship with millions of people through universal credit, the pensions brief and now financial inclusion) – yet HMT will maintain oversight of policy relating to debt, consumer issues and money guidance – and oversight of the FCA. How exactly this will work remains to be seen. So that’s just a couple of the issues to keep an eye on from a debt perspective in the Bill. There are, of course, other areas we’ll be looking at. If you would like to know anything further about our work on this, please do get in touch jane.tully@moneyadvicetrust.org.